Roberto Clemente may have been the best player in the history of the Pittsburgh Pirates. Alas, he lost his life on this day in 1972, as he attempted to bring supplies to the earthquake ravaged country of Nicaragua. Even though it was not a season up to his lofty standards, Roberto Clemente furthered his status as one of the best players that had been seen in MLB history. Even though he only had a .312/.356/.479 batting line, low for his standards. However, he still made the All Star game, won a Gold Glove award, and recorded his 3000th hit. Even though he was 38 years old at the end of the season, Clemente still seemed to have a couple of good years left in him. Then came the devastating earthquake that hit Nicaragua. Clemente had been in the country just a few weeks before, and as he was known for his charitable efforts, he was recruited to help organize the relief effort in Puerto Rico. Instead, he did far more than help organize; Clemente jumped in and gave his full effort. He worked tirelessly, literally working around the clock to make sure that aid would reach the battered country, only taking time away to honor a commitment to discuss and play baseball with young kids. In his final at bat that day, Clemente homered, giving the ball to one child, and the bat to another. However, despite Clemente’s efforts, reports became to come in that the aid was not reaching the people. Instead, the shipments sent from Puerto Rico and the United States were going directly to Samoza’s National Guard, keeping the needed supplies from the helpless people of the country. Clemente, naturally, was outraged, and decided to board the last flight of supplies to ensure they reached the proper recipients. Unfortunately, neither the supplies, nor Clemente, reached their intended destination. His DC-7, laden with supplies, took off from San Juan, but crashed shortly thereafter. Clemente’s body was never found, and it was believed that he was killed when the plane crashed, his body either sunk into the ocean or drifting out to see in the storm. That did not dissuade attempts to locate Clemente’s body. Teammate Manny Sanguillen learned how to scuba dive in order to attempt to locate Clemente and bring him back home for his final resting place. Alas, his body was never recovered, lost to the sea. For as tremendous as a player that Clemente was, he was an even better human being. He used his fame to help better the lives of others, leaving a lasting legacy behind. He was almost immediately put into the MLB Hall of Fame, and in May of 1973, he was posthumously awarded the Congressional Gold Medal and the Presidential Citizens Medal. That legacy lives on with the Roberto Clemente Award, given to the player who best exemplifies the game of baseball, sportsmanship, community involvement and the individual’s contribution to his team. Next: Can Springer succeed in center? 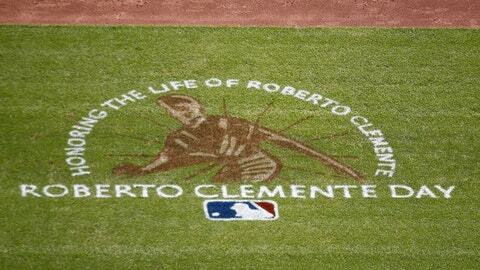 Roberto Clemente was a tremendous player with the Pittsburgh Pirates, but he was also a nbetter person. Tragically, on this day in 1972, his life ended far too soon.